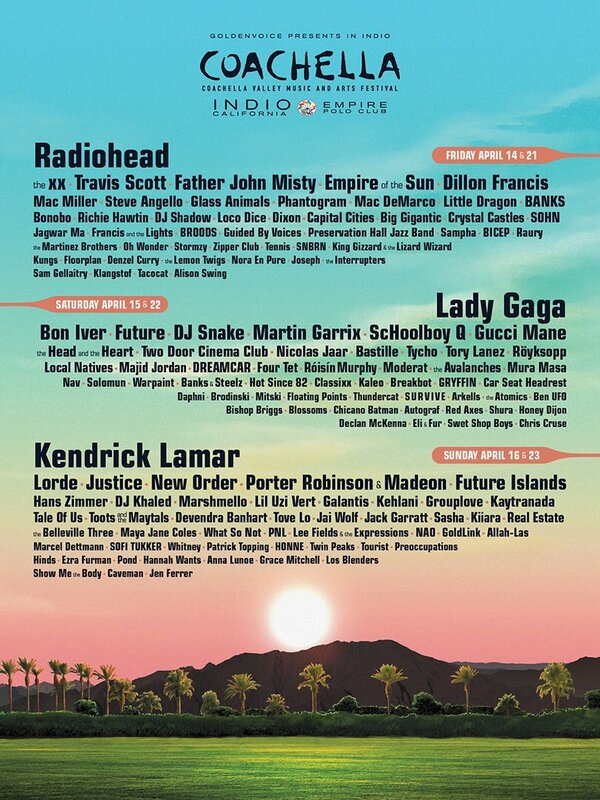 Lady Gaga announced the news last night on Twitter that she is now performing at Coachella this year. After receiving news that Beyonce withdrew from her slot at the show, Lady Gaga will perform on Saturday, April 15th and 22nd. Peep the full schedule below.